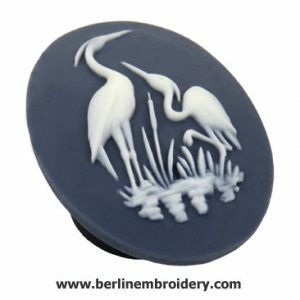 The cranes on navy needle minder is a place to park your extra needles when you are working on your project. 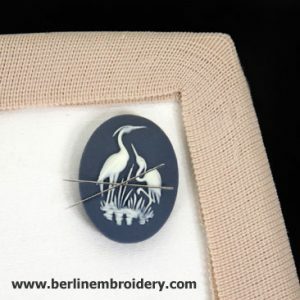 The decorative side of the minder has a magnet on the back and goes on the front of the fabric, another magnet is placed at the back of the fabric holding the minder in place. 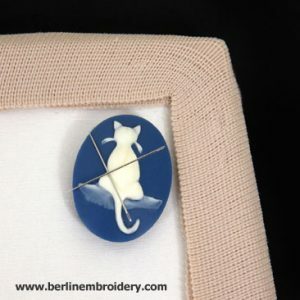 The curious cat needle minder is a place to park your extra needles when you are working on your project. 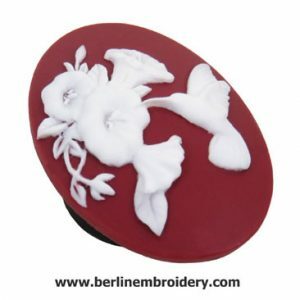 The decorative side of the minder has a magnet on the back and goes on the front of the fabric, another magnet is placed at the back of the fabric holding the minder in place. 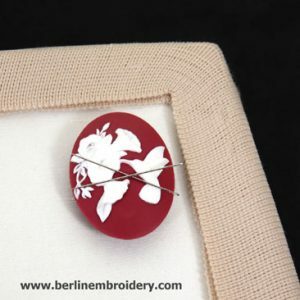 The hummingbird needle minder is a place to park your extra needles when you are working on your project. 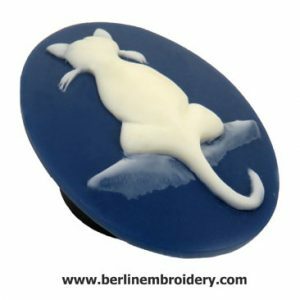 The decorative side of the minder has a magnet on the back and goes on the front of the fabric, another magnet is placed at the back of the fabric holding the minder in place. 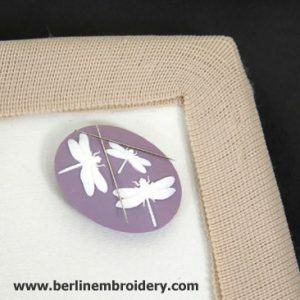 The millers dragonfly needle minder is a place to park your extra needles when you are working on your project. The decorative side of the minder has a magnet on the back and goes on the front of the fabric, another magnet is placed at the back of the fabric holding the minder in place. 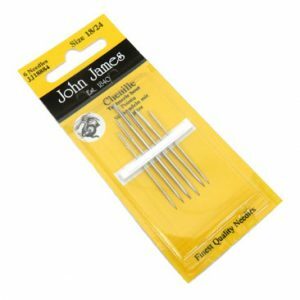 Wire needle threaders are for all sizes of needles but are most useful for fine needles as it enables you to thread the really small eyed needles easier. The metal wire loop of the needle threader is threaded into the eye of the needle (much easier than threading in a strand of thread), the thread is then threaded into the wire loop of the threader and then the wire loop and embroidery thread are pulled back through the eye of the needle, the thread is now threaded into the needle. 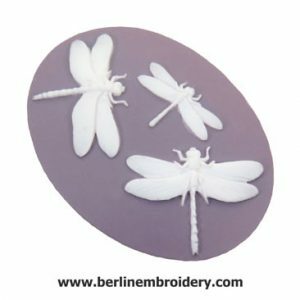 Chenille Needles have a large eye and a sharp point and are great for ribbon embroidery and as a plunging needle for goldwork embroidery. 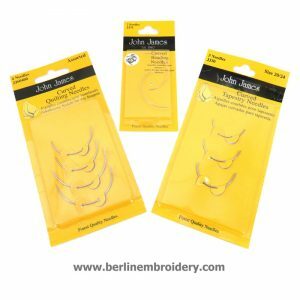 Chenille needles can also be used for heavy surface embroidery such as crewel and Mountmellick. 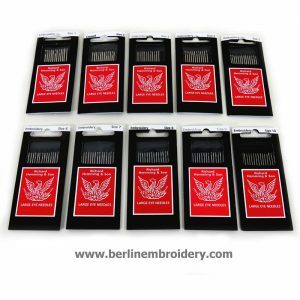 I carry a variety packet in which the needles range from size 18 (largest) to size 24 (smallest) and I sell the No. 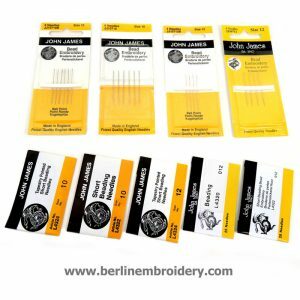 18 chenille needle separately for goldwork embroidery. Curved needles are great for awkward stitch angles, where a straight needle just won’t do. 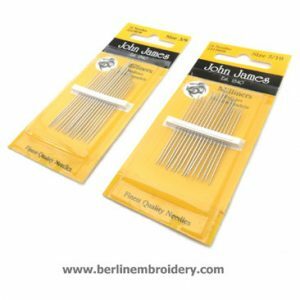 I carry curved beading needles for fine fabrics and beading. 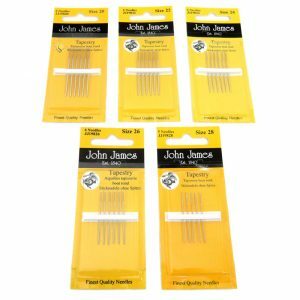 Curved quilting needles for sewing together heavier fabrics and is great for ending threads at the back of the work such as in goldwork and curved tapestry needles for sewing together counted fabrics and also for ending threads at the back of the work. 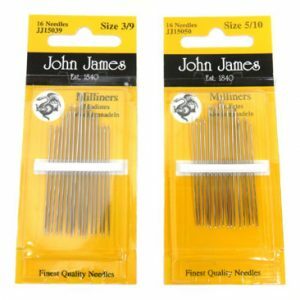 Milliners or Straw needles are long needles that have a straight short eye. 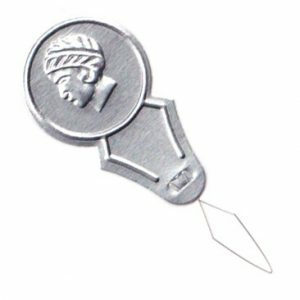 The needle is a consistent width for the length of the needle including the eye which makes the needle ideal for creating even bullion knots. 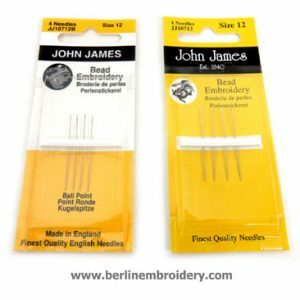 Tapestry needles have a blunt end to the point of the needle and is used for counted thread embroidery because the point of the needle does not catch or pierce the threads of the counted fabric when working from one hole to the next. The tapestry needle has a long eye for easier threading. The needles I supply range from size 20 being the largest to size 28 being the finest. I use the No. 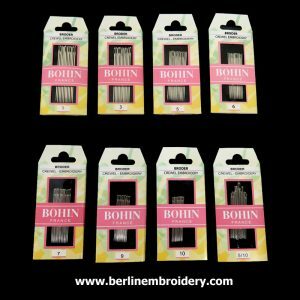 24 Tapestry needles in my Hapsburg Lace kits and the No. 26 and No. 28 Tapestry needles in my blackwork kits.